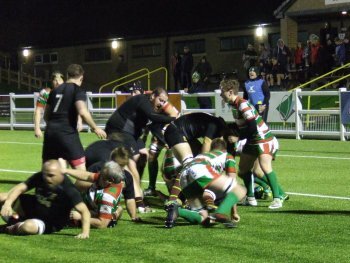 Heath travelled over the hills to Utley to take on Keighley in this re-arranged Yorkshire Shield quarter-final played under lights on the artificial surface. Coach Dave Harrison made several changes to the side to give players valuable game time with Mark Puttick, Chris Piper and Dave Skinner in the pack whilst on the bench it was a welcome return for centre Sam Gill, signed a couple of seasons ago from York, but injured in his debut game alongside Chris Moore, Fergus Marsden, Alex McFadden and Jonny Cole. A large crowd had gathered to watch the game, in perfect conditions, all expectant for a showcase game and they were not disappointed. The home side, urged on by their supporters, made a bright start despite their lowly position in the league with the game played at breakneck speed which inevitably meant passes were dropped. An early penalty set up a Keighley chance for a score but the Heath defence stood firm and broke clear with Dave Skinner and Jason Merrie making significant breaks. 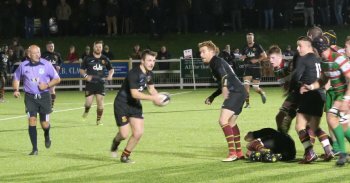 Heath were clicking into gear and a clever grubber kick from Dan Cole saw the flying Si Brown pounce onto the ball to score an unconverted try for Heath to lead 5-0 with 5 minutes played. Heath were beginning to take hold of the game and a 40 metre run from Callum Harriett-Brown lit up the crowd. 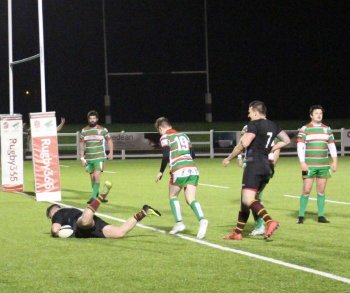 The winger was halted just short of the try-line but there was no stopping Heath despite Keighley going close to drawing level only to be thwarted by a covering tackle from Skinner. Heaths scrimmage was beginning to take charge and with Matt Beasty controlling line out ball. 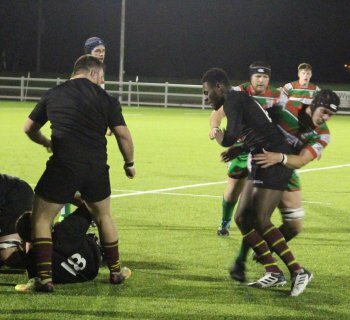 After 25 minutes Olly Cook and Beasty were replaced by Chris Moore and Fergus Marsden as coach Harrison rotated his players as the onslaught on the home defence continued and it came as no surprise to see Heath increase their lead following a penalty to touch for a Heath line-out. Marsden collected the ball and with the Keighley defence powerless he drove forwards to score another unconverted try, 10-0 on the half hour mark. Jack Crabtree made way for Sam Gill who slotted in at centre with Eddie Cartwright moving to full back. Heath continued to batter the defence Keighley had to offer and Ian Downsborough and Chris Moore linked well with Downsborough just held up short. Half time came with the visitors well in control. 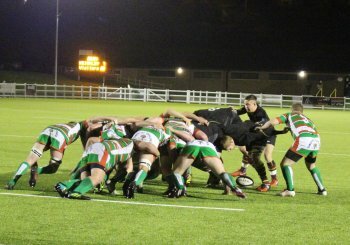 Once again coach Harrison made changes with Jonny Cole and Alex McFadden replacing Dave Skinner and Mark Puttick and it was a superb second half start for Heath when, following good work from Dan Cole and Ezra Hinchliffe, Jason Merrie burst through a rather static home defence to score under the posts. 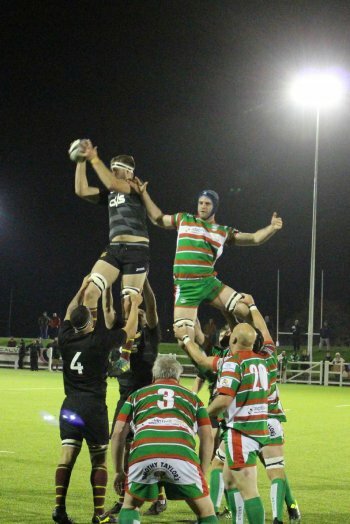 Hinchliffe added the extras and Heath led 17-0 on 42 minutes. 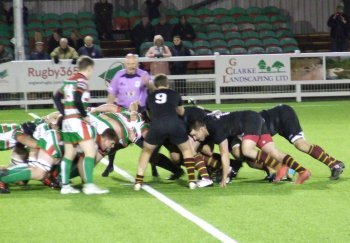 Keighleys response was immediate and they were rewarded with a converted try to reduce the arrears 17-7. 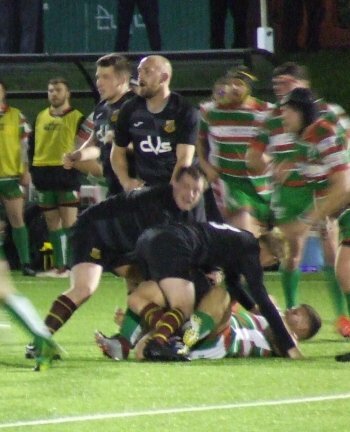 Olly Cook came on for Chris Piper, who had completed a good stint in the scrum, and the onslaught began again. 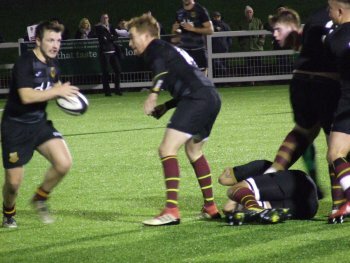 Fergus Marsden, Alex McFadden and Chris Moore drove forwards making 30 metres before Dan Cole put in a kick which was just too strong for the chasing Hinchliffe. The game continued to be dominated by the visitors but to their credit Keighley continued to battle in defence. Next, Michael Reynolds and Eddie Cartwright made inroads with Hinchliffe and Jason Merrie finding gaps in the home defence. This constant pressure was rewarded with a try from the hard working Chris Moore, 22-7, on the hour mark. Crabtree returned for Dan Cole but Cole was soon back in the action following an injury to Michael Reynolds. Despite these changes Heath continued to batter Keighley who were beginning to feel the heat making a number of mistakes and giving away a stream of penalties. 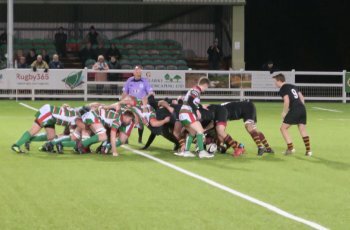 It was inevitable that Heath would score and following excellent scrummage work Ian Downsborough controlled the ball to score a converted try, 29-7. 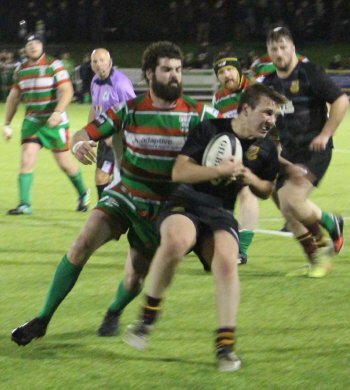 Dave Skinner returned for Fergus Marsden who was injured and when Ezra Hinchliffe went under the posts for Heaths sixth try a score of 37-7 this reflected Heaths dominance. However, Keighley had a sting in the tail and scored an unconverted try with the last play of the game for a final score of 37-12. This was an excellent advert for mid-week Cup rugby and should be discussed as a possible way forwards by Yorkshire RFU to keep these competitions going as it gives the opportunity for clubs to give important game time for players. The win takes Heath into the semi-finals of the Shield but with more withdrawals of teams in other matches this week-end as yet it is unclear who their opponents will be.